JC Futures was introduced in 2012 to recruit potential accountants straight from school. The pioneering programme, which allows trainees to gain a chartered qualification while in paid employment, provides an alternative to further studies at university or college. 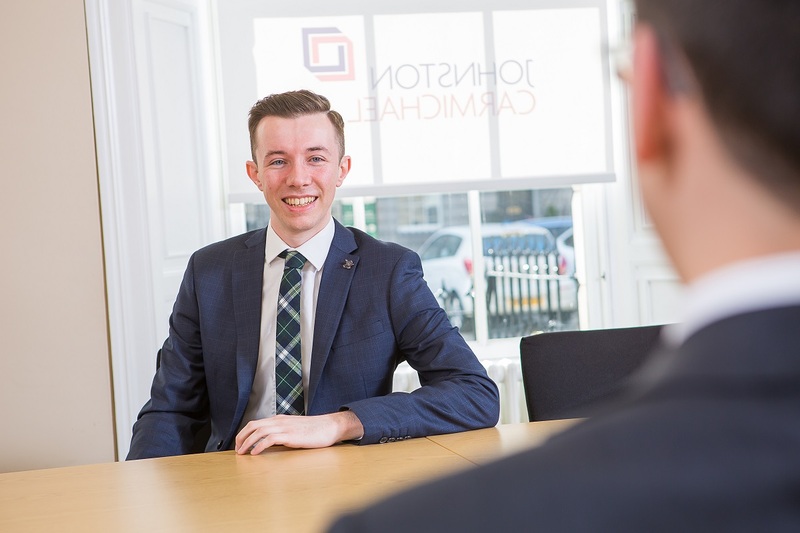 Calum, who was among the first group of school leavers appointed by Johnston Carmichael, said: “I was all prepared to go to university, having secured unconditional offers to study accountancy. “My uncle was a CA and he suggested looking at the Johnston Carmichael website, and that was when I came across the JC Futures programme. I was really intrigued by the scheme, as it allowed me to gain hands-on experience in a real life financial services setting and qualify quicker than going to university. Developed to encourage talented school leavers to train in a professional setting, the JC Futures programme encourages a wide range of young, enthusiastic individuals to start their career. With more individuals going down the training while working route, the JC Futures programme allows pupils to get into the accountancy profession without going into further education. The programme gives budding accountants a valuable, hands-on experience from their first day, allowing them to put their skills into practice earlier than those who choose to study at university. Iain Abernethy, career development director at Johnston Carmichael, said: “We are thrilled to see Calum graduate as a CA through the JC Futures programme. “With more individuals going down the training while working route, the JC Futures programme allows pupils to get into the accountancy profession without going into further education. “We have received some really positive feedback about our scheme, from both the students and their parents, and we hope to see some more school leavers join the firm in the future.